Before you start the first day of Driver’s Education class, a Temporary Instruction Permit (TIP) must be obtained from the Office of Motor Vehicles. To obtain a Temporary Instruction Permit (TIP), take the items listed below to the Office of Motor Vehicles. *Note: If an adult has a valid Louisiana State ID already issued and their Social Security Number is in OMV’s system, then only the ID and Proof of Residency is needed. Cost of Temporary Instruction Permit is $32.25 with a possible service fee up to $6.00. 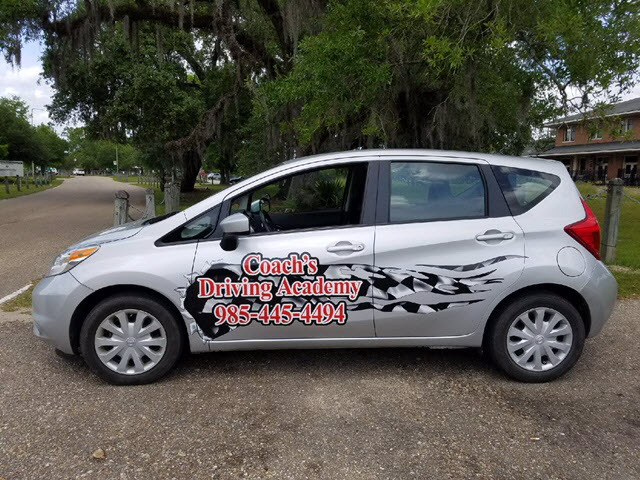 Coach's Driving Academy serves Slidell, Louisiana including the surrounding areas of Lacombe, Pearl River, and St. Tammany Parish. We offer driving instruction and defensive driving techniques to both teens and adults seeking to become safe and skilled drivers. Coach's Driving Academy has helped thousands of people like you and your children get their driver's licenses and go on to become safe, courteous, and successful drivers. We schedule behind the wheel training 7 days a week and have morning, afternoon, and evening lessons available. We can fit around your busy schedule. Whether you are a teen or adult driver learning to drive for the first time or a seasoned driver looking to improve your skills, Coach's Driving Academy is committed to helping you reach success. Our goal is to ensure you leave with everything necessary to be a safe and responsible driver.